There are certain universal experiences that go along with being involved in academics, one of which is explaining the publishing model of academic journals. This is particularly difficult for grad students, who, upon their first publication, are confronted by family members wondering how much they got paid. It’s a well meaning question, but it’s a bit of a downer to have to explain how academic publishing works and that, as today’s guest aptly puts it, it’s a gift culture. The work is done in the pursuit of knowledge with the primary goal not being monetary gain, but rather having the information available for public consumption. 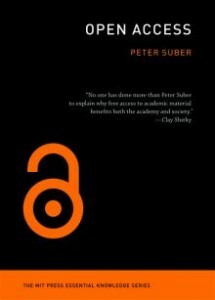 Recently, that final point has increasingly been scrutinized by the Open Access movement, which is explored by Peter Suber in this openly accessible book. More and more scholars are moving away from journals with paid subscriptions in favour of open access publications. Sometimes that’s not possible, however, which is why some institutions are requiring their faculty to put copies of their publications in open access repositories in their libraries. At Harvard University the push towards open access has been led by the Office for Scholarly Communication, which has been able to get each school to agree to participate in its open access repository. Through Digital Access to Scholarship at Harvard (DASH), publications by Harvard faculty are freely available to anyone. The site has been quite successful since its launch, recently surpassing 7 million downloads. They also maintain an Open Access Directory, which includes listings of open access materials and different funding models for open access journals. In this episode of the History Slam, I talk with Peter Suber, the Director of Harvard’s Office for Scholarly Communication. We chat about his book, the challenges of getting faculty on board, and questions of funding. We also explore some of the generational challenges associated with open access and the benefits of public scholarship.